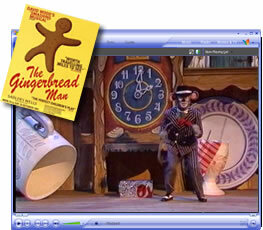 The Gingerbread Man takes place on an antique kitchen dresser. The Gingerbread Man, newly baked by the Big Ones, meets Mr Salt, Miss Pepper and Herr Von Cuckoo, who lives in the cuckoo-clock. He has a sore throat which is ruining his "cuckoos", thus threatening to land him in the dreaded dustbin. The Gingerbread Man's efforts to help Cuckoo's sore throat are hampered by the villainous scavenger Sleek the Mouse and by The Old Bag - an old tea-bag who lives in the teapot on the top shelf. The story of David Wood's international hit musical play for children is narrated by Bernard Cribbins. The songs are sung by the original Old Vic cast. 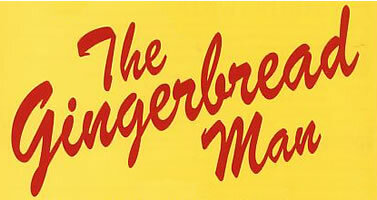 THE GINGERBREAD MAN has been seen in theatres all over the world. David Wood's own theatre production was televised by Channel 4. 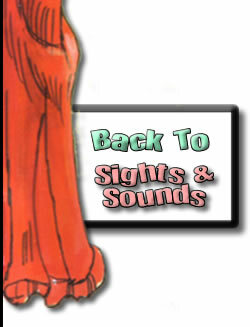 There was also a television animation series, which is now on DVD.